Are you ready? To live as though your tomorrow starts today? To share the healthier and better life that Shaklee has to offer? Then you’re ready to accept the Live It, Share It Growth Challenge! Grow your PGV by an incremental 5000 or more in February through June 2019, over your August through December 2018 PGV base, to qualify for a $1,000 Live It, Share It Growth Challenge Bonus. Need an extra month to qualify? If you want an additional month to meet the qualifications, you can replace another month’s results with the results you have in July. This means that if you don’t qualify during the actual qualification months of February through June 2019, we’ll give you one more chance. Check out the Promotion Details tab to learn more. Generate 5000 or more in incremental PGV between February 1 and June 30, 2019 compared with your PGV base between August 1 and December 31, 2018. Be a Paid-As Director or higher rank in June 2019 to earn the reward. Anyone can participate in the Live It, Share It Growth Challenge. Simply complete the qualifications by June 30, 2019 and be the Paid-As Rank of Director or above in June 2019 (not in VGM or waiver) to qualify. Your PGV base is the cumulative PGV for the five-month period of August through December 2018 or 2000 PGV, whichever is greater (“PGV Base”). Example: Distributor Robin had a total cumulative PGV of 3000 between August 1 and December 31, 2018. She must generate 5000 PGV in incremental growth to qualify for this incentive and earn a $1,000 bonus; therefore, she must have a total of 8000 PGV generated between February 1 and June 30, 2019. New to Shaklee? No worries! Your PGV base will be set to 2000 PGV and you can earn a $1,000 bonus by growing your PGV by 5000 over the minimum base of 2000 (for a total of 7000 PGV during the incentive period) and becoming a Director or above by June 30, 2019. How is my incentive PGV calculated? Your incentive PGV is your cummulative PGV for the five-month period of February 1 through June 30, 2019 (“Incentive PGV”). PGV from First Generation Business Leaders promoted during the qualification period will continue to count for the incentive. First Generation Director breakouts can be new or re-appointed Business Leaders after the January PV month. We’ll include their PGV for as long as they maintain a Business Leader rank during the incentive period. This PGV will be added to your Incentive PGV on the tracker monthly, but not for bonus purposes. Example: In February 2019, Mary is the rank of Paid-As Director. She’s working with Susan, who promotes to Director in March 2019. The PGV that’s generated from Susan’s Personal Group during the remainder of the incentive qualification months will continue to count under Mary’s Incentive PGV for this incentive program only. Your Live It, Share It Growth Challenge tracker is the place to find this information. Go to LiveItShareItChallenge.com to see the tracker, follow your progress, find your personalized base, and goals. Your login is your Shaklee ID and the password is Growth2019. When will the tracker be available? The tracker is now available to all Distributors and Business Leaders. It will be updated monthly. Not yet a Shaklee Distributor? Your tracker will display the month after you enrol as a Distributor. You can earn a Share It, Live It Growth Challenge Bonus of $1,000 when you grow your PGV by 5000 over your August through December 2018 PGV base. The Live It, Share It Growth Challenge will be paid in your June 2019 commission cheque on July 15, 2019. If you want an additional month to meet the qualifications, you can replace another month’s results with the results you have in July. This means that if you don’t qualify during the actual qualification months of February through June 2019, we’ll give you one more chance. Generate 5000 or more in incremental PGV from your best five months between February 1 and July 31, 2019 compared with your original PGV base between August 1 and December 31, 2018 to qualify. You must be a Paid-As Director or higher in June 2019 and July 2019 (not in a VGM or waiver) to earn the reward. After the close of the regular incentive period, you’ll need to determine what your lowest PGV month was during the qualification period and set your goal on achieving a higher PGV in July. How much more PGV you’ll need would be determined by how short you are by the 5000 incremental growth at the end of June PV month. Business Leaders having the Paid-As Rank of Key Coordinator or higher in December 2018 PV Month. 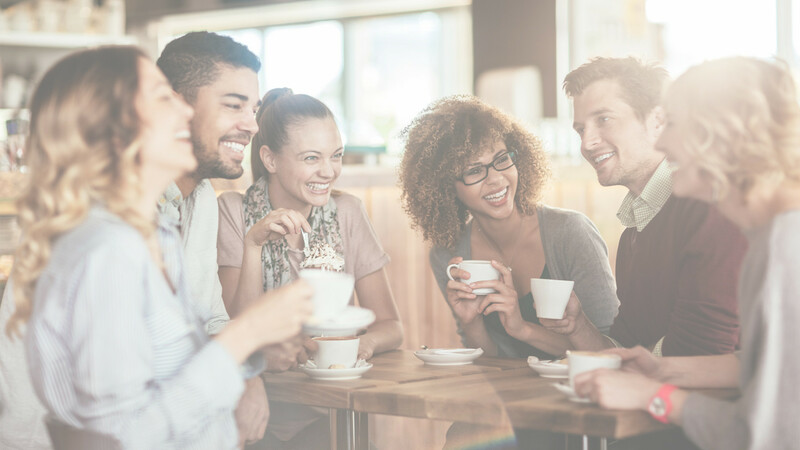 Shaklee Business Leaders having the Paid-As Rank of Key Coordinator or higher in the December 2018 PV month will be able to earn a $1,000 Upline Mentoring Bonus for each group of three Business Leaders earning a Live It, Share It Growth Challenge Bonus on your team, down to the next Paid-As Key Coordinator or higher. You must be a Paid-As Key Coordinator or higher in December 2018 and maintain the Paid-As Rank of Key Coordinator or higher through June 2019 to receive the Upline Mentoring Bonus. You'll earn a $1,000 bonus for each group of three qualified Business Leaders on your team (as of December 2018 or new during the incentive period), down to but excluding the next Key Coordinator or higher, earning the Live It, Share It Growth Challenge Bonus. For example, if you have three qualified Business Leaders earning a $1,000 bonus toward the Live It, Share It Growth Challenge, you would earn a $1,000 Upline Mentoring Bonus. If you have six qualified Business Leaders earning a Live It, Share It Growth Challenge Bonus, you would earn $2,000 in Upline Mentoring Bonuses. A Live It, Share It Upline Mentoring Bonus qualifier may earn both his or her own Live It, Share It Growth Challenge Bonus and the Upline Mentoring Bonus. The Upline Mentoring Bonus will be determined after the June 2019 PV month and paid in the qualified Key Coordinator’s June 2019 commission cheque on July 15, 2019. With the addition of the extra month to qualify, we’ll also account for any new qualified Business Leaders on your team who qualify using their best five months between February and July 2019. If any additional Upline Mentoring Bonuses are earned, the qualified Key Coordinators will be paid in the July 2019 commission cheque on August 15, 2019, accordingly. The 5000 or more Incremental PGV increase must be new volume. Therefore, the PGV of Business Leaders who revert (February – June 2019) and whose volume rolls up to you during the qualification period will not count. Any PGV resulting from a reorganization or sponsorship line movement during the incentive qualification period will not count. 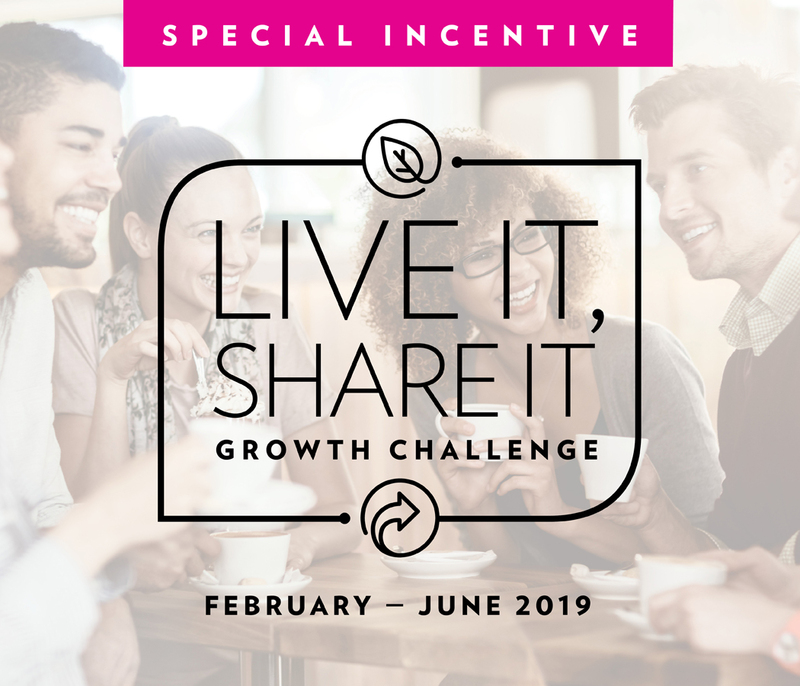 The Live It, Share It Growth Challenge Bonus will be paid in your June PV month commission cheque on Monday, July 15, 2019. If the extra month is needed to qualify, the Live It ,Share It Growth Challenge Bonus will be paid in your July PV month commission cheque on August 15, 2019. See the Need an extra month qualify? section, above, for further information on how you can qualify using your best five months between February and July 2019. New Distributors who join during the incentive period or have less than 2000 PGV in their bases (August – December 2018) will have their bases set at 2000 for their Live It, Share It Growth Challenge PGV bases. Need tips for how to reach your activity goals? Create a plan with your upline! Need ideas for how you can use this incentive along with the PGV+ Challenge to grow your business? Check out this quick explanation from Master Coordinator Rick Seymour on how you can use both offers to boost your income, get closer to Dream Trip Qualifications, and be recognized on stage at Global Conference! Your web browser does not support iframes, which means that the video February Volume Incentives cannot play.